The NSLI-Y participants awoke at 7:30, to a sharp ringing in our ears, we reached over and grabbed the room phone and answered our wake up call begrudgingly. After arriving in the main lobby promptly at eight o’clock, we migrated to the room where we would enjoy our breakfast. It was a private offshoot of the main lobby and only accessible to those who were a part of the program. We socialized with each other and continued to build upon the relationships that we established the previous night, while simultaneously creating new bonds with the members that had just arrived. Afterwards we were shepherded to a new a room. It was much more spacious and conducive to learning and listening. Listening and discussion are what we primarily did today. 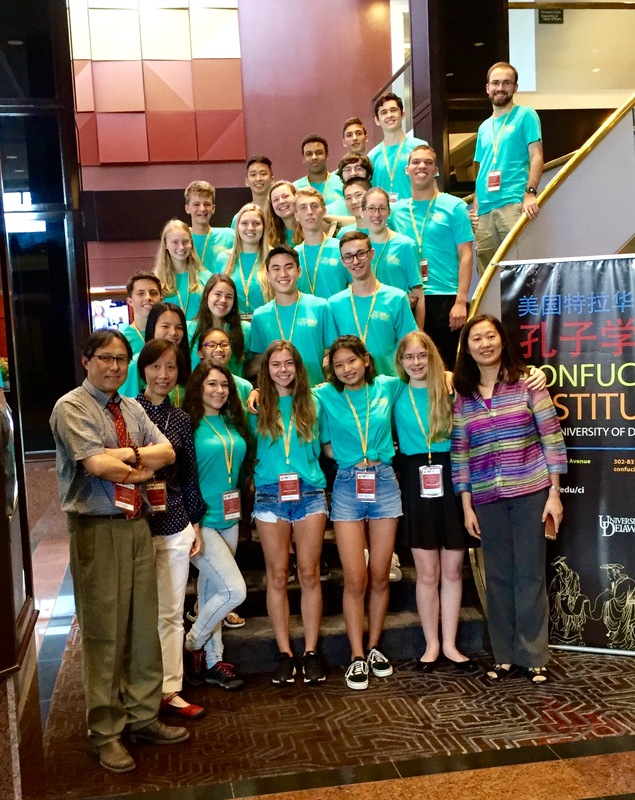 We began with a program introduction session for about 30 minutes, which was a slideshow presented by Dr. Jianguo Chen, director of the 2017 UD-NISLY summer institute in China and Director of the Confucius Institute at the University of Delaware. After this informative overview we played fun games to get to know each other a little better. These games were not only effective in breaking the ice, but also in creating the groups that students would be a part of for the rest of their stay in China. We learned that our groups would compete for the remainder of the trip, in a Hogwarts style point based system. After these quick games of charades and memorization, we listened to a video produced by the State Department, talking about the objective of NSLIY, the importance of people-to-people diplomacy and how to deal with cross-cultural differences. After a 10 minute break, we went in depth on the program. We learned about our Chinese classes, tutoring sessions, and “Strive for Excellence” activities. We had remarks on Administrative Matters by Dr. Chen from 11:30-12:00, and then we had lunch. We took this lunch break as a blessing, as we were becoming exhausted from the vast amounts of important information we were in taking. During this meal there was the looming presence of the Chinese placement exam that we were going to take immediately following the meal. However, we shouldn’t have worried, though difficult, the exam was truly just a way for the teachers to see what actual language proficiency level a student was at. Following the exam we continued our discussion about other important aspects of the program. Dr. Chen explained: Cross-Cultural Communication, how to deal with culture shock, the E-portfolio, Homestay, along with other issues. After a short break at 3:30, Dr. Chen continued the discussion on the health, safety, security, and other program business to the students. We all find the information helpful. After such a long, tiring yet productive day, the students and teachers ate a well deserved dinner, and concluded a successful day of Pre-Departure Orientation. I believe we are all ready for the China trip that begins tomorrow.